Take a sneak peek at some of our recent and upcoming work. 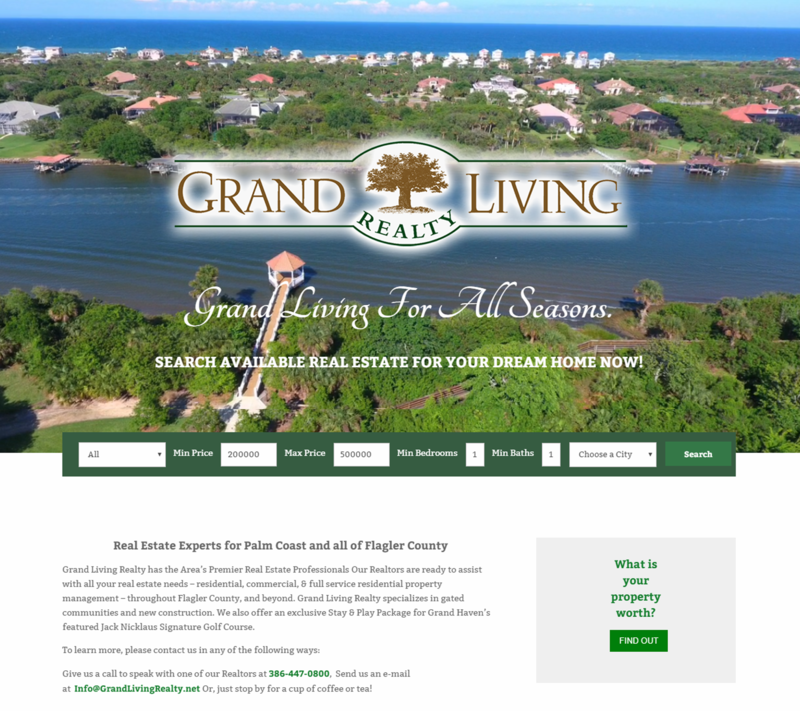 With Grand Living Realty expanding from Palm Coast, Florida into Flagler Beach, Florida it was time for a website redesign. This real estate and development company…..
Did you know that we are Parnters with IDX Broker? 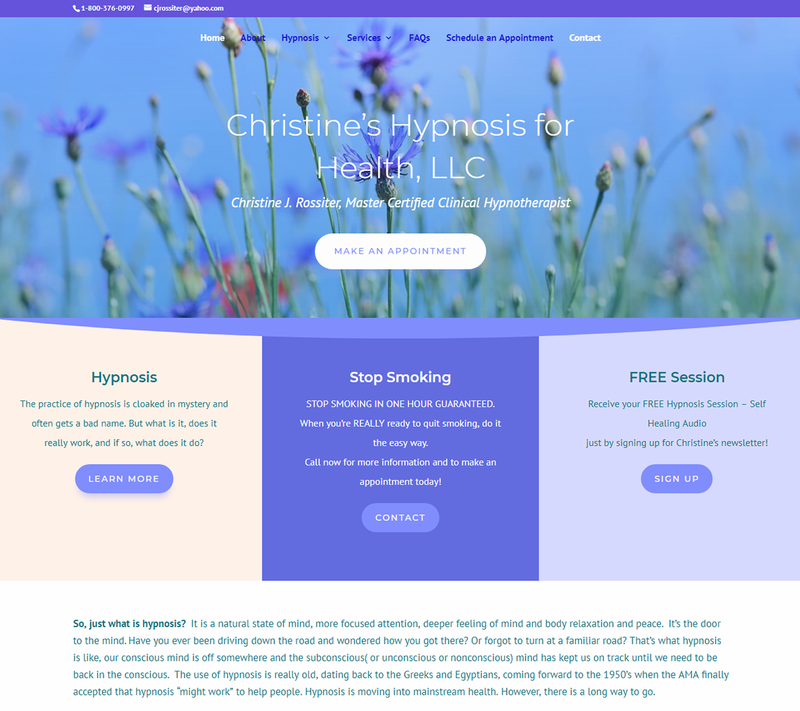 Hypnosis for Health to us with a request for a more user friendly website. We took much of her information from her existing website and reworked it to be a modern, hypnotherapy centered web design. She has many services and we focused her update on her most popular sessions.  This turned out to be a beautiful website! A Riding and Driving Equine Horse Club in Ocala, Florida. 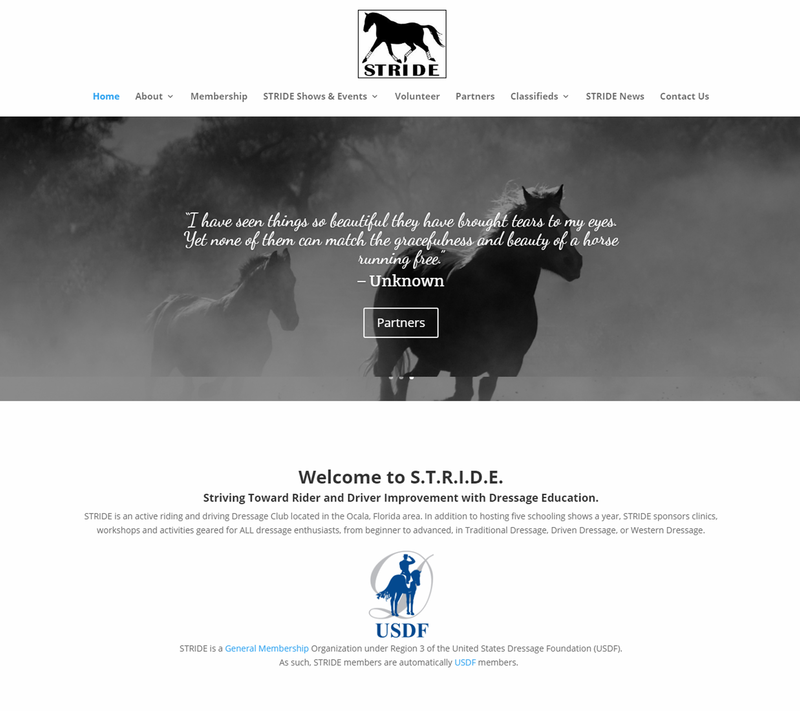 STRIDE (Striving Toward Rider and Driver Improvement with Dressage Education) needed a website for continue growth of the club and to show off what they are really all about. Currently, we are working on Phase II which is online membership and horse show signups. They have weekly blog articles and a bi-monthly newsletter to go with it that we assist them with as well! 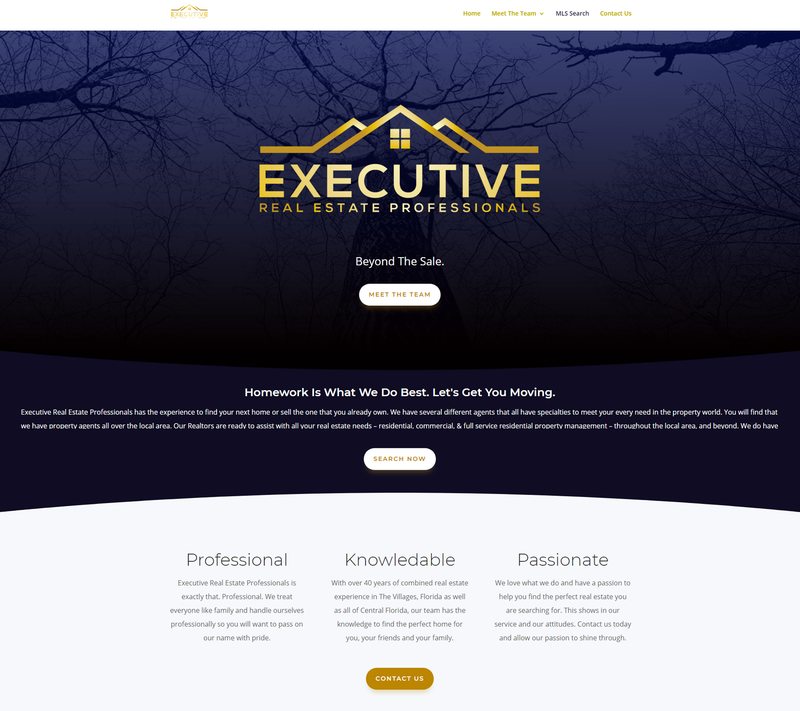 Executive Real Estate Professionals is a new real estate company that covers Marion and Lake County, Florida. We have been working with them on a full re-branding of the business with everything from new logo design, to business cards and signs and even this slick looking single page scroll website – soon to have detailed MLS search options using IDX Broker we might add! Did a great job on our website and logo design… Design for cards and signs were top notch… Was a pleasure working with Multiple Media Marketing for our branding. 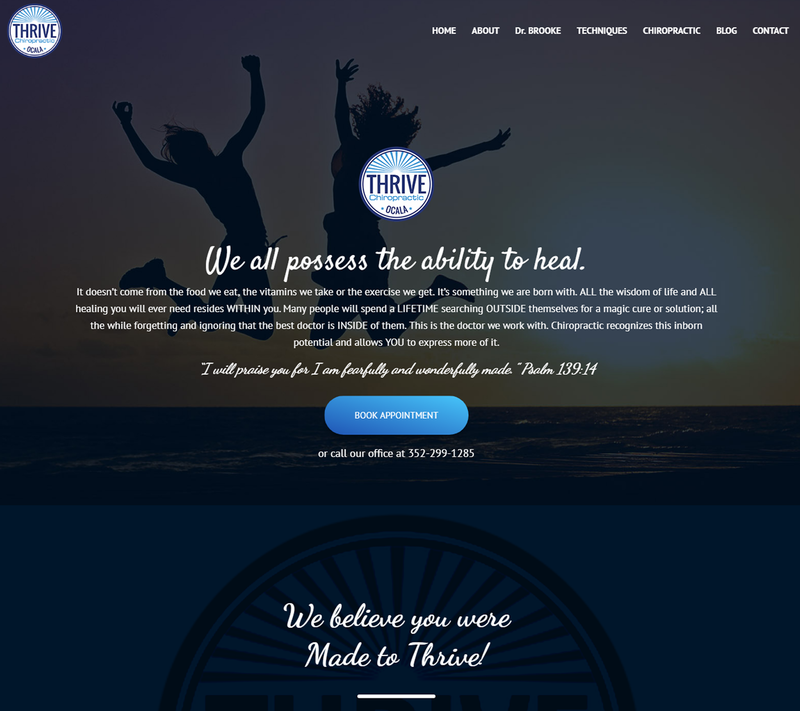 Thrive Chiropractic started out with a “do-it-yourself” website and after a few years wanted a change. Multiple Media Marketing created a stunning single page scroll with plans to expand in the future. Just wait until you see this work in progress. The footer alone will make you turn to mush! Sign up below for our newsletter to be notified when it is launched! 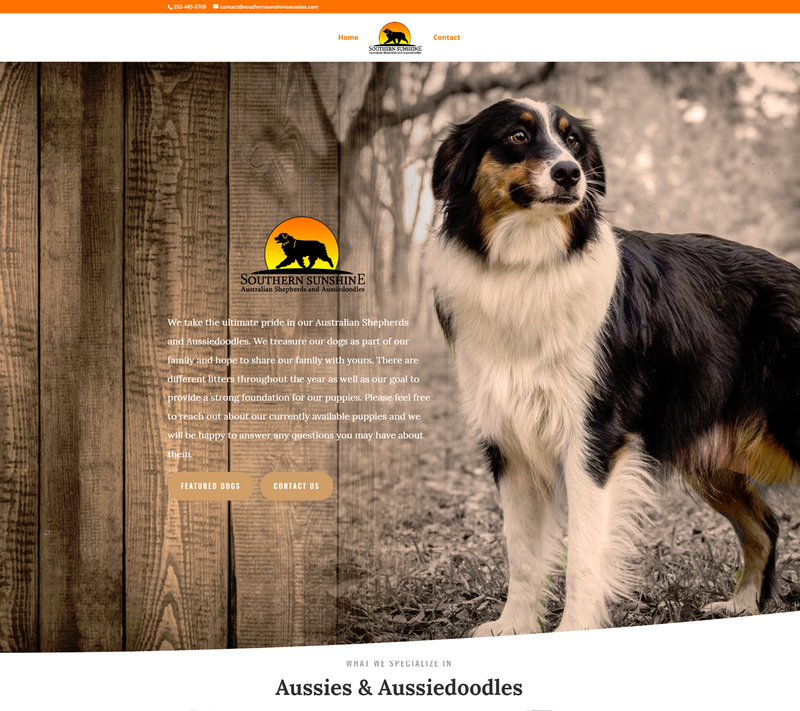 Multiple Media Marketing did an amazing job with the rebuild of my business website! We have had so many compliments on it since the “reveal.” I would highly recommend them! 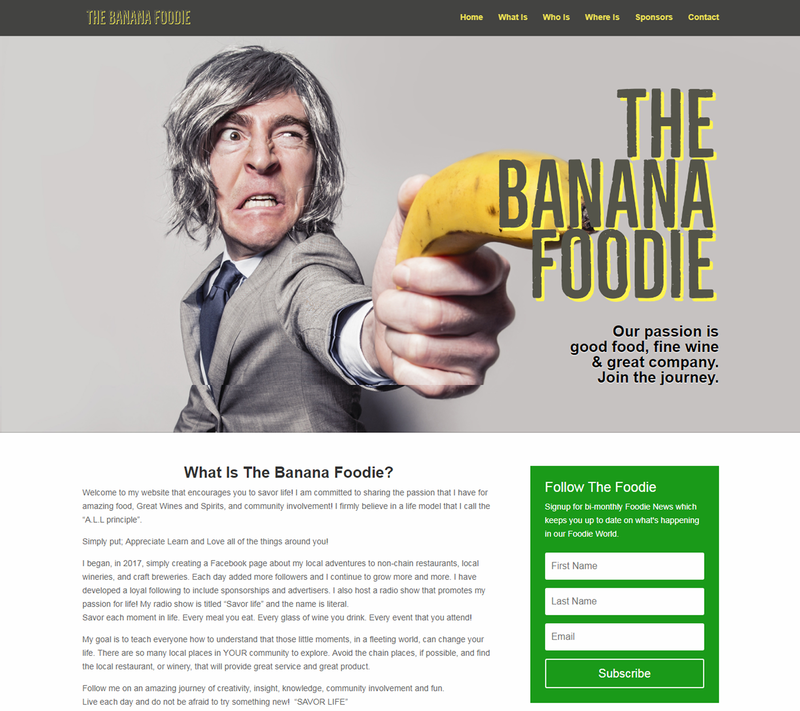 Our goal for The Banana Foodie project was to keep things simple and affordable for this Client’s first food blog. We went for a single page scroll website that focuses on the task at hand – the love of food! Detailing Services covering all of Florida! 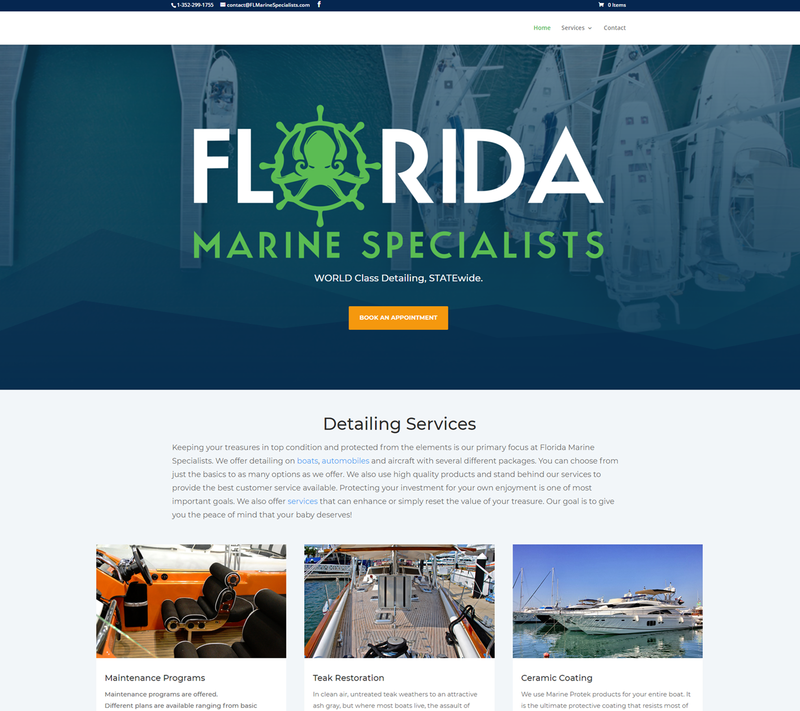 Florida Marine Services (previously known as Loyalty Wash and Detail) is spreading out across Florida and we are excited to be working closely with them on the overall branding with a new logo and graphics as well as this super cool website that will be launched soon! They were able to create marketing tools that helped my growing business. Digital imaging where the feedback was positive and immediate from my clients. Highly recommend them for their service, quality and efficiency. Call them!!! Did you know that goldfish have longer attention spans than humans? Learn more on the Website page! How may we help you reach your dreams and goals? Contact us today to schedule an appointment. Sign up for cool content delivered directly to your inbox and we promise not to send junk.